Every week I get emails from knitters with questions regarding my patterns. 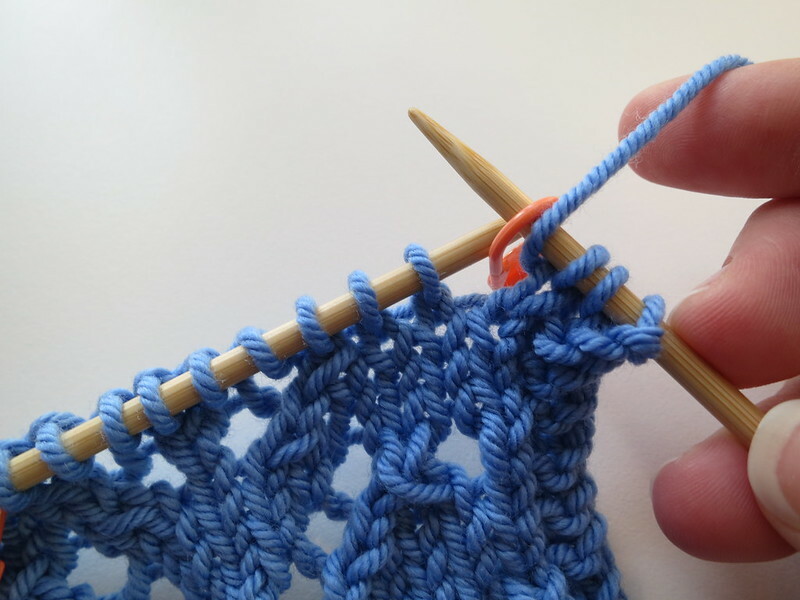 The question/comment I get most often is that there aren't enough stitches at the start or end of a row. The majority of the time, the solution is simple: move the markers. How easy! I work along and everything is going just fine, until I get to row 5. I have three stitches, then a yarn over then the start of the repeat. But I have 4 stitches before the marker! I start by doing my k3, yo. And you can see that matches row 5 of our chart. 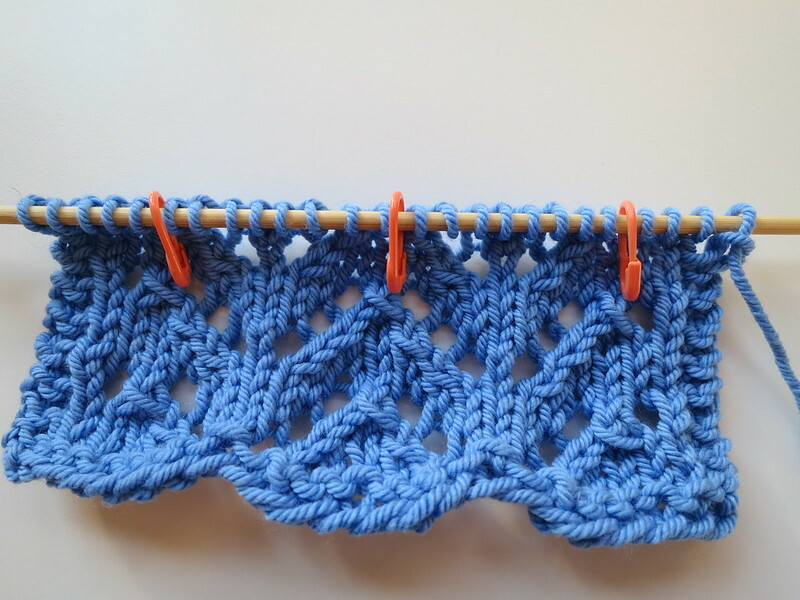 That sk2p is the first stitch in the 8-stitch repeat. 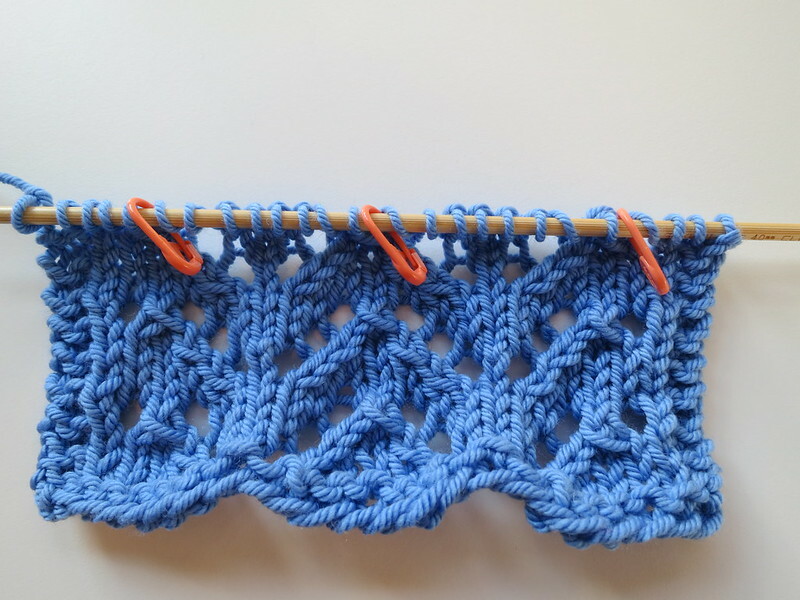 I'll have to keep moving the stitch markers in the same way across the entire row. Ok, but how did I know that this was going to fix the problem? I look at the chart. 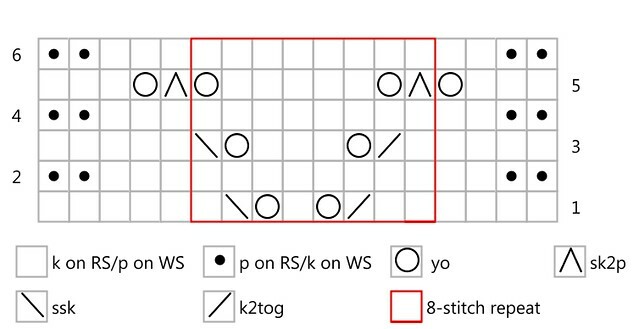 See how on row 5 you have that sk2p right at the edge of the 8-st repeat? 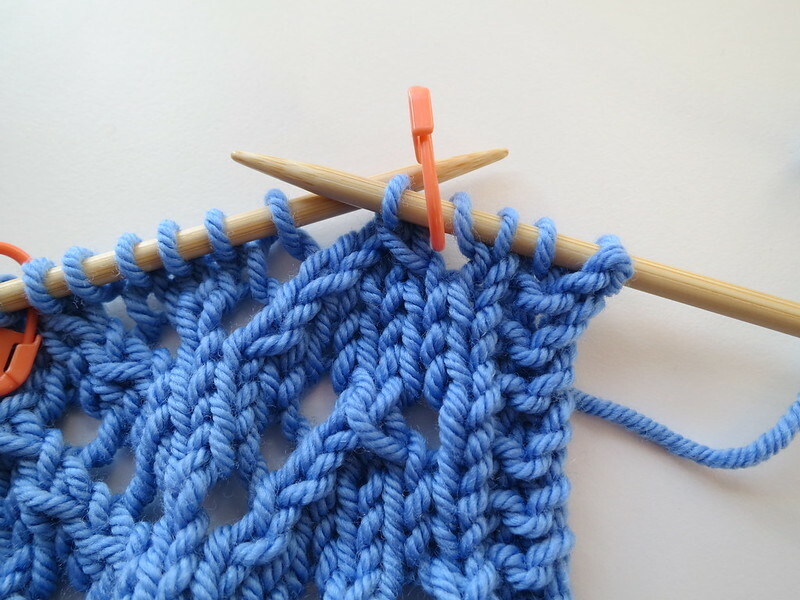 That stitch causes a decrease of 2, so we need two increases to balance it out. And see how one of the yarn overs is on one side of the red repeat box and the sk2p with the other yarn over is on the inside? 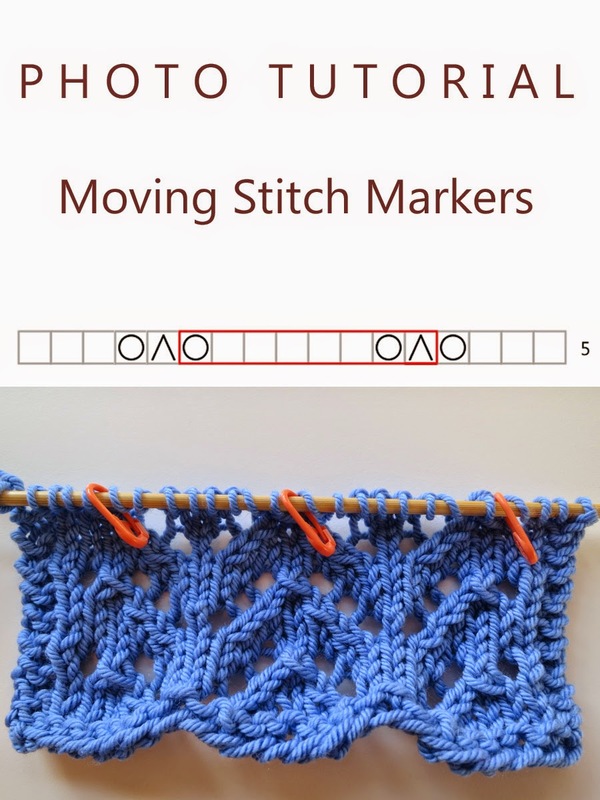 If you like using stitch markers to mark lace repeats, I hope this helps you! 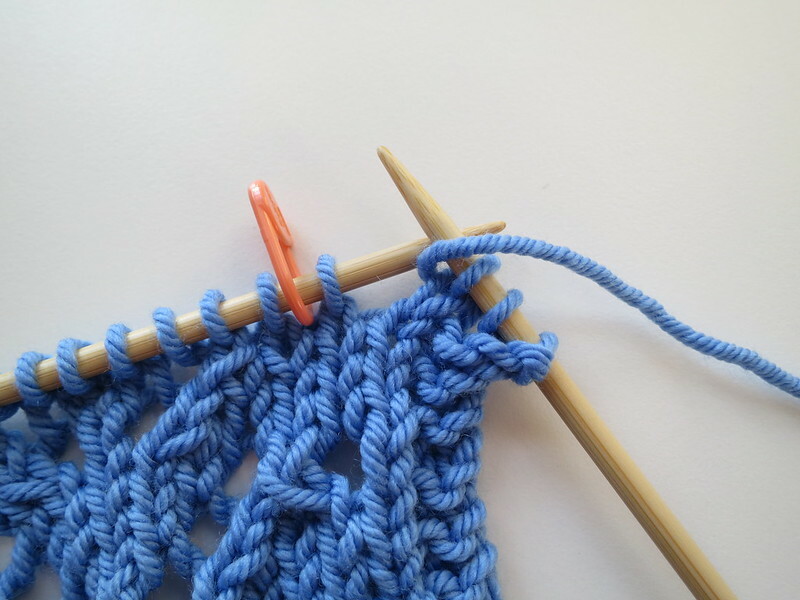 Sometimes, you just have to steal a stitch or two from one side of the stitch marker! Need more help? I have a tutorials page on my website with all my photo and video tutorials.